Help Sweet Clooney with Life-Changing Medical Care! When Clooney was found he was crawling on a bad leg and desperate for food. He was rushed to a vet clinic for evaluation and is receiving care for severe malnourishment, wounds and a badly fractured front leg. He now needs crucial vet care and surgery to repair his leg. 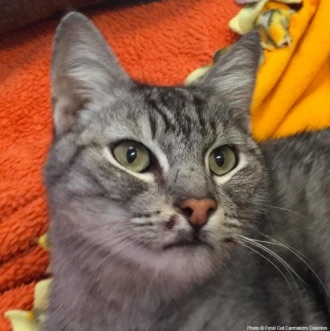 Clooney is sweet and loving despite the pain he is going through, and with medical treatment and surgery he can live a healthy life… and look forward to finding a loving, forever home. You can help. Just $20 will help Clooney get leg surgery and life-changing medical treatment!